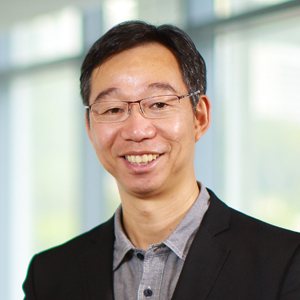 Prof. Wilton Chau has over 30-year extensive experience in venture development and investment in the Asian Pacific region. Currently he is the Founding Chairman of PAVD, a non-profit platform with over 60 active angels, super-angels, venture capitalists and private equity investors; a founding member of AEEA, an alliance formed by presidents, vice presidents, deans and professors from over 20 renowned universities in China, Taiwan, Hong Kong and Singapore; the Chairman of ICIA (the RA of ISO17316); a Vice Chairman of the HKBio; and was the founding Vice Chairman of the Hong Kong Business Angel Network. In addition, he is in the Board of several technology ventures and listed companies including a health care medical operator, Meilleure Health Group. In the academic area, he is a Professor of Practice in Entrepreneurship, teaching MBA, and EMBA courses covering topics of new venture creation, entrepreneurship, venture capital and private equity, Taiwan & Singapore study trip in the CUHK Business School, The Chinese University of Hong Kong. His PAVD cooperates with postgraduate programmes of several universities to provide entrepreneurship training and help existing technology ventures/SMEs developing their own commercialisation programme and fundraising strategy in Asia. Apart from contributing to the entrepreneurship education in Hong Kong, Prof. Chau is also an Adjunct Professor in the MBA Programme of the National University of Singapore (NUS Business School), the Programme Director of the RAIN (Round A Investors) Programme, PAVD-Singapore Management University (SMU), the Curriculum Director of the Protégé Venture Capital Training Programme, SMU; the External Examiner (BBA entrepreneurship) and an External Assessor for Academic Promotion of Universiti Tunku Abdul Rahman (UTAR) in Malaysia; and a member of the Advisory Committee (Business Degree) in the Singapore University of Social Sciences. In addition, he is a Specialist of the Hong Kong Council for Accreditation of Academic and Vocational Qualifications (HKCAAVQ) and in the Editorial Board of SAGE Open Publication. Prof. Chau has obtained a bachelor degree in applied maths, a law degree, a master degree and a doctorate degree in business administration. He is also a fellow member of The Association of Chartered Certified Accountants of the United Kingdom.